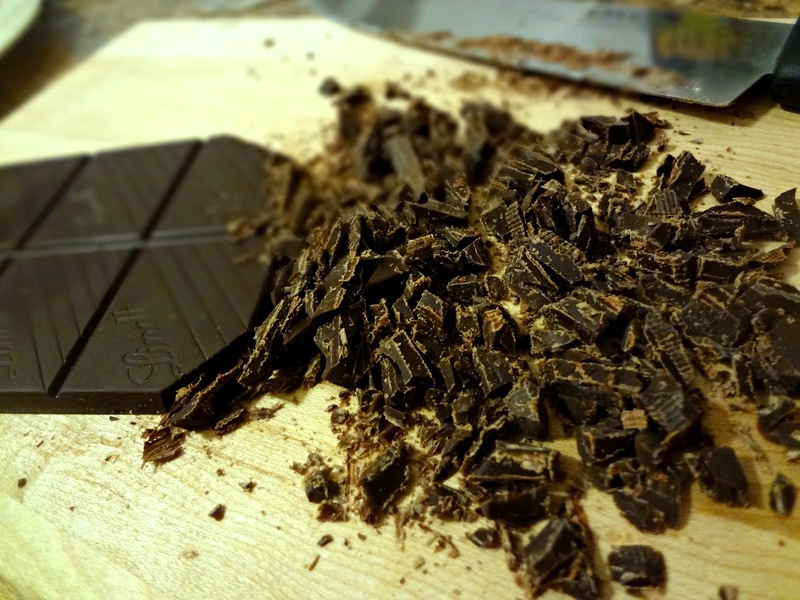 Sometimes you just need a warm mug of chocolatey comfort, don't you agree? 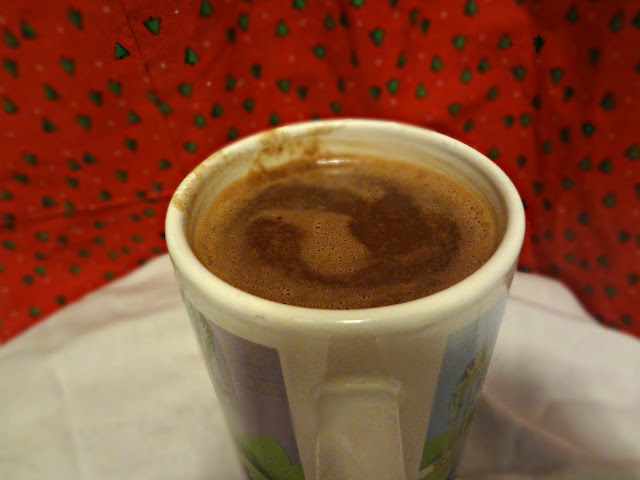 I made Michael and I this hot chocolate after I returned home from babysitting on NYE, it was a wonderful comforting way to end the year-snuggling on the couch with my honey, watching Smallville, and sipping on mugs of wonderfully creamy hot chocolate. I only regret that I did not have whole milk, so I haven't yet tried this as it was intended, but hopefully soon. The way I made it, it tasted pretty similar to the other hot chocolate recipe I've shared with you guys, but I'll update you if it tastes drastically difference with whole milk. Thus far I still have not had the pleasure to make a hot chocolate that is as good as Max Brenner's...but perhaps....someday....a girl can dream right? 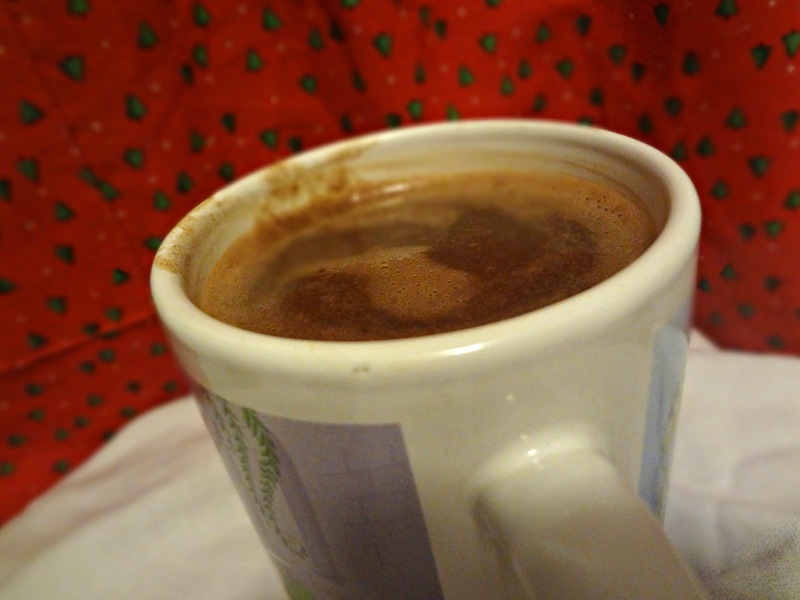 Mmm wonderful, thick, hot chocolatey dreams. 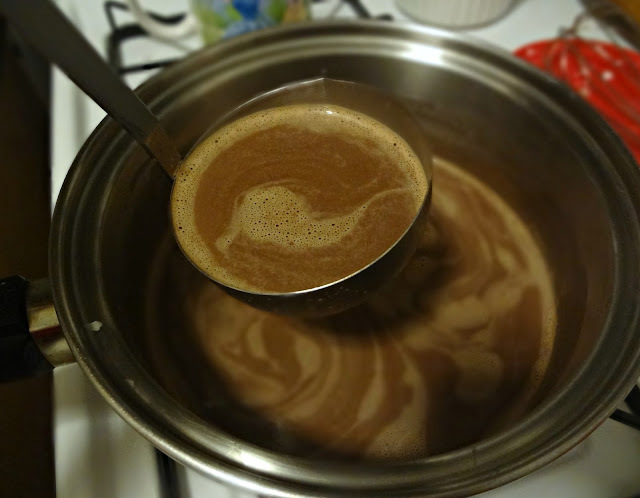 Adapted slightly from Cooking for Seven's "Homemade Hot Chocolate"
In a medium saucepan, bring the milk and cream to a low simmer on medium heat (you'll see little bubbles forming around the edges), whisking occasionally to prevent a film from forming. 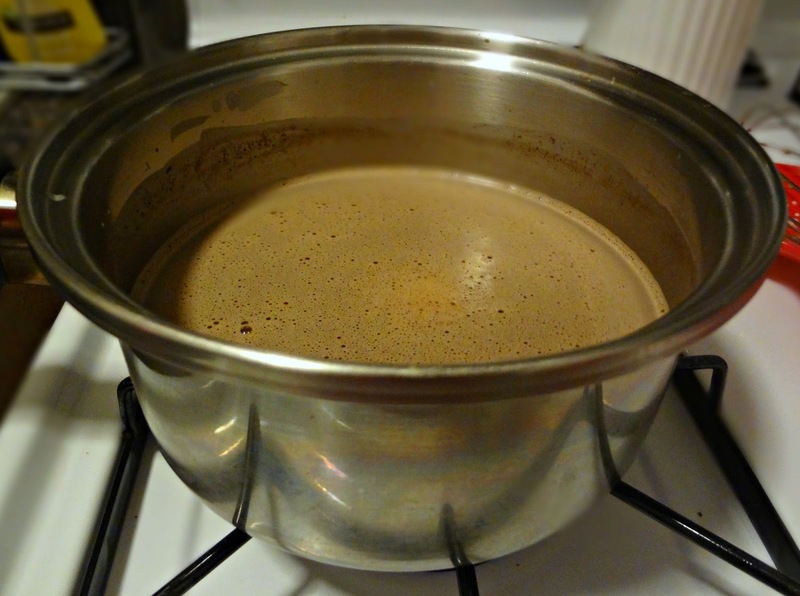 Add chocolate, sweetener, vanilla, and salt to the simmering pan. Whisk vigorously until the chocolate is melted. 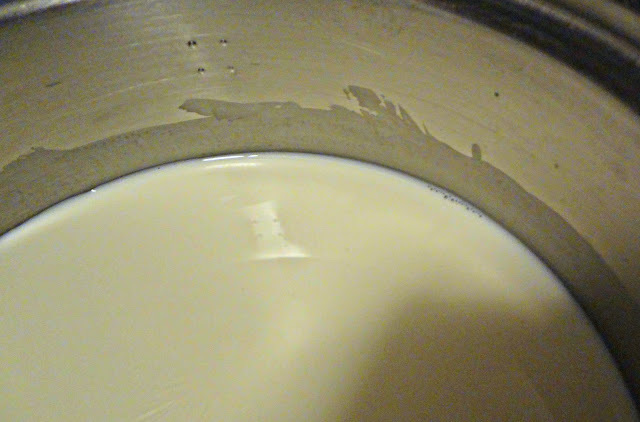 Continue, whisking constantly, for 4 minutes. Serve as desired with marshmallows, whipped cream, etc. Or just in a Disney Princess mug....you know, whatever. Healthy Recipes to Start 2013 Right!